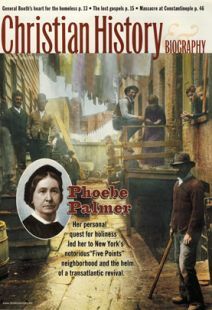 Transformed by her child’s fiery death, Phoebe Palmer lit the flames of revival on two continents. How women preachers built up the holiness movement. Social, spiritual, and political forces converged to create an environment for a revival.